15 Tata dealers across the country. 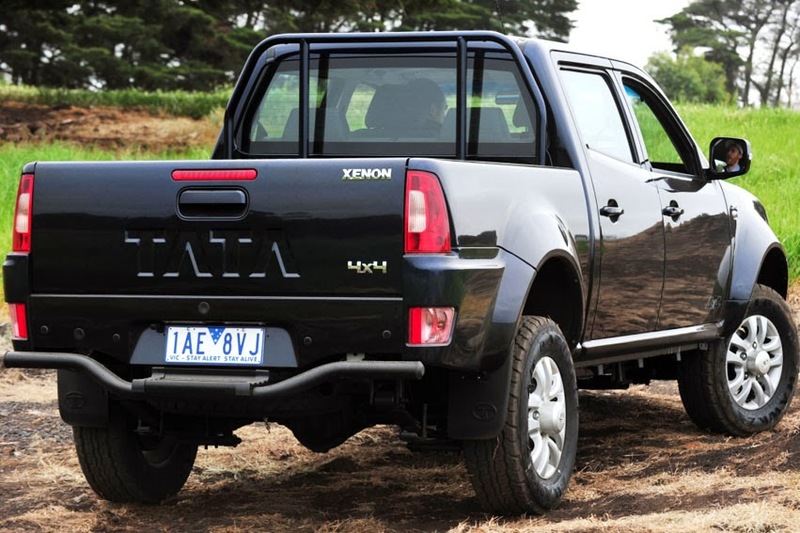 The Tata Xenon will be priced from $22,990 drive away. "Our entry into the Australian market marks an important milestone in the continued expansion of Tata Motors global footprint. Our partnership with Fusion Automotive, a part of the Walkinshaw Group has allowed us to not only deliver a uniquely configured Tata Xenon suited to the diverse Australian market but also utilize the tremendous strengths and capabilities of our local channel partner in Fusion Automotive who understand thelocal customer requirements,” said Ravi Pisharody, Executive Director - Commercial Vehicles, Tata Motors. The Xenon will offer customers in the light commercial segment unrivalled value with a unique brand position of value, strength and safety and will be available in cab chassis, single and dual cab variants with customers able to select a 4x2 or 4x4 drive line. "Tata Motors has a heritage built on toughness. Over 8-million Tata vehicles have travelled on some of the toughest and demanding roads on the planet since the first vehicle rolled off the production line in 1954. Now more than 60 years later we are proud to be bringing the quality, value and toughness from the toughest proving ground on the planet to Australia," said Darren Bowler, Managing Director, Fusion Automotive. "The light commercial segment is now the third largest segment of the Australian new-car market, with 13 major brands in the 4x2 and 4x4 categories. We believe there is demand in Australia for a utility range of vehicles with the toughness and value for money equation that Tata Motors products deliver," Darren Bowler further added. In addition to the distinctive bold and muscular design standard across the world, the Australian Xenon features a Euro-5 emission compliant 2.2-litre turbo Dicor diesel engine and incorporates unique interior features that enhance driver safety and comfort, including - driver and front passenger airbags, power windows as well bluetooth and USB connectivity as standard. Customers can also select from a range of optional features like touchscreen navigation system, reverse sensors and a reverse camera. The Xenon will extend the value proposition to new car purchases, by offering a comprehensive after sales program inclusive of a 3 year, 100,000 km new car warranty and 3 years roadside assistance across the range.